“Entrepreneurs would make little headway without the capital markets to fuel the growth of their ideas and businesses,” said Warren Stephens, Stephens Inc.’s Chairman, President & Chief Executive Officer. 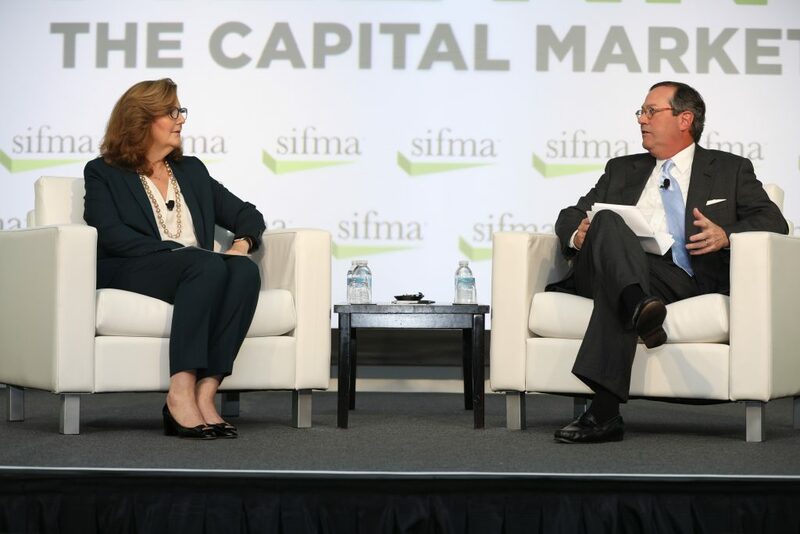 Arkansas Investment Banker Warren Stephens told attendees at SIFMA’s 2017 annual meeting Tuesday that young Americans have an alarmingly negative view of the economic system that has made America the richest and most powerful nation in the world, and this lack of understanding bodes poorly for the future of free enterprise. “When Bernie Sanders carried 22 states in the Democratic primary as an avowed socialist, I realized we’ve done a poor job of telling the story… that capitalism is the great equalizer,” said Stephens, who in response has spearheaded a public awareness campaign called This is Capitalism that highlights the stories of successful Americans of often humble origins who embraced economic opportunity despite serious challenges. Stephens cited a 2016 a Harvard Institute of Politics poll of Americans aged 18-29 that found that fewer than half supported capitalism, while 51% opposed it. Among the language used to describe capitalism, the words “greed,” “corrupt” and “control” were frequently mentioned. Stephens closed his talk by encouraging the securities and financial management industry to work to improve economic education and financial literacy among young people. “If they graduate without knowing basic supply and demand, and how the economy works, they’re just uneducated. The difference between 2 percent annual GDP growth and 3 percent is trillions of dollars. And why does it have to be only three? As well meaning as we try to be in our regulations, they’ve stifled growth and innovation and the benefits are going to smaller and smaller groups of people.” Given this increasing concentration of wealth, and the slow growth of recent years, he said, it is perhaps not surprising that ordinary “people are going to question the benefits” of a system they don’t realize has been artificially distorted and hobbled. Its videos highlight the achievements of: Alexander Hamilton, the first U.S. Treasury secretary and a champion of the free enterprise system; Madam C.J. Walker, America’s first African-American self-made millionaire, who launched a popular line of women’s hair care products in the early 20th century; Wal-Mart founder Sam Walton; cosmetics magnate Helena Rubinstein; Chuck Williams, founder of the Williams-Sonoma kitchen supply chain; and Jack Stephens, a founder of Stephens Inc. (and Warren’s father).